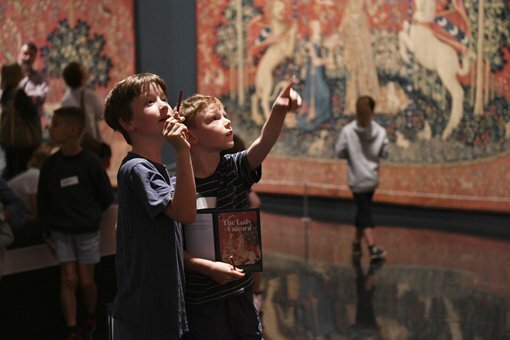 The Art Gallery of New South Wales has attracted 1.61 million visitors – another record high. The Gallery has also welcomed a wide and diverse audience with almost half (49%) of its 94,038 education participants coming from Western Sydney and regional NSW. This past year as the Gallery has continued to work towards its expansion known as the Sydney Modern Project with $96 million in philanthropic support announced alongside the state government’s $244 million, it has reflected on its broader goals as the state’s leading public art museum. Director Dr Michael Brand said the Gallery has considered the place the expanded art museum will occupy in the future, not only physically at its site in the Domain but also as a key contributor to the cultural fabric of NSW as well as its international standing. “Our art museum is a place to encounter art and ideas and also to make connections with other people. In an often divided and intolerant world, the art museum must be a place of discovery and dialogue for all people, as well as a place of open debate and thoughtful reflection. “We do this at our site in the Domain, but also we foster connections and conversations throughout greater Sydney and into our regional communities across NSW,” Dr Brand said. “We achieve this by working with many partners, including artists, other cultural organisations, and a diverse range of communities. We also make great efforts to create a place where young people can actively participate and where they feel a sense of belonging,” Dr Brand added. 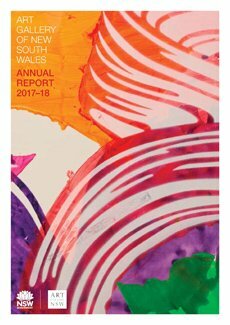 In the past 2017-18 financial year Art Gallery of NSW partners have included the Asylum Seeker Centre, the Australian Brandenburg Orchestra, the Black Dog Institute, Front Up with Ability Options, Sydney Gay and Lesbian Mardi Gras, Sydney Festival, Sydney Writers’ Festival, and universities across Sydney. The Gallery’s acting director of Public Engagement, Heather Whitely Robertson, said in 2017-18 strong community engagement enriched the Gallery’s Learning and Participation programs, which attracted a total of 344,339 participants. “Our programs ensure all audiences, irrespective of cultural background and economic situation have access to art through deep engagement opportunities and feel welcome and represented within the Gallery and the community,” Whitely Robertson said. In 2017-18 several new Gallery partnership programs were designed for, by and with the community including a two-year partnership with the Information and Cultural Exchange (ICE) in Parramatta which incorporates a program for new migrant and refugee families. Also established this year was an art-making program for people at risk of homelessness with Artspace and the Ozanam Learning Centre in Woolloomooloo and a pilot poetry writing program for people with mental illness, with partner organisations Outlandish Arts, the State Library of NSW, UTS and Big Fag Press. The Gallery’s Art Pathways Plus program developed partnership programs with Casula Powerhouse Arts Centre and Campbelltown Arts Centre while new arts and health initiatives included a new Liveable Communities project with UTS and Black Dog Institute which researched the impact of viewing and making art for individuals living with Dementia. In 2017-18 the Gallery’s flagship Art After Hours program attracted 57,601 attendees on Wednesday evenings after 5pm as it celebrated 15 years of creative programming – making it one of the longest sustained night time museum programs in the world. Art Gallery Society again supported Art After Hours with a major contribution of $250,000 towards the program. Ongoing volunteer support provided visitors to the Gallery with quality interpretation of exhibitions and assistance with learning and participation programs. Over 266 volunteer guides and Art Gallery Society task force members provided 25,000 hours of volunteer service to the Gallery. This year marked the creation of the Gallery’s Indigenous Advisory Group set up to provide the Gallery with advice on cultural policy and protocol and reflecting the needs and interests of Aboriginal and Torres Strait Islander communities. The Group, chaired by artist Tony Albert, will also guide staff as the Gallery considers the rich history of its site and its vision for the Sydney Modern Project. The Gallery collaborated with its neighbours and stakeholders to ensure its expansion achieves the best possible outcomes for the people of Sydney and NSW. With the goal of a 5-star Green Star design rating and a building that maximises and enhances green and accessible public space, the Gallery aims to set new standards for public art museums. The Gallery is currently in conversation with a number of leading artists from across Australia and around the world as it contemplates and plans for the ways in which visitors will experience art across two buildings which will be linked by an outdoor Art Garden. During the past financial year the Gallery acquired 647 artworks for its collection of 34,500 works, from 115 Australian artists including 18 Indigenous artists and 42 international artists. Of these, 233 works valued at over $5 million were purchased and 414 works valued at over $7 million were gifted with the support of generous benefactors. Major acquisitions included works by Jonathan Jones, William Kentridge, Kimsooja, and Tony Tuckson. Art Gallery Society members donated $292,800 to acquire Charles Condor’s significant work Rainy day 1888, an exceptional addition to the Gallery’s collection. The 2017-18 financial year saw the Gallery host seven major ticketed exhibitions visited by over 495,000 people – approximately 50,000 more than attended paid exhibitions the previous year. A total of 27 exhibitions were hosted at the Gallery’s Domain site, attracting 1.3 million visitors. Online engagement continued to grow in the past financial year with an increase of 41% on YouTube; 32% on Instagram and 12% on Facebook. Visitation sessions to the Gallery’s website grew by 11% with users growing by 9% and page views by 12%. A high level digital strategy for the Sydney Modern Project was also developed. In 2017-18 the Gallery’s regional touring program enabled new audiences from across NSW and Australasia to access the Gallery’s collection, exhibitions and programs. Seven exhibition tours arranged in NSW, Queensland, Victoria and New Zealand were seen by over 200,000 people. Of these, more than half (108,500) were in regional NSW, an increase of 82% on the previous year. The Gallery continued its trend in improvements in its financial position by controlling discretionary costs and building and maintaining strong commercial revenues. The corporate membership program achieved sponsorship of $5.731 million for the Gallery in 2017-18 improving its financial position and enabling the Gallery to present inspiring exhibitions, programs and initiatives. These organisations share the Gallery’s commitment to the vibrancy of culture in Sydney and are a vital part of its vision for the future. Together all the Gallery’s partners, supporters and staff are ensuring new and existing audiences have unprecedented access to the enrichment of art. *Overall visitation of 1.61 million across the Domain site, Brett Whiteley Studio and regional touring sites. Domain site (1,390,936); Brett Whiteley Studio (13,535) and regional touring (203,246).